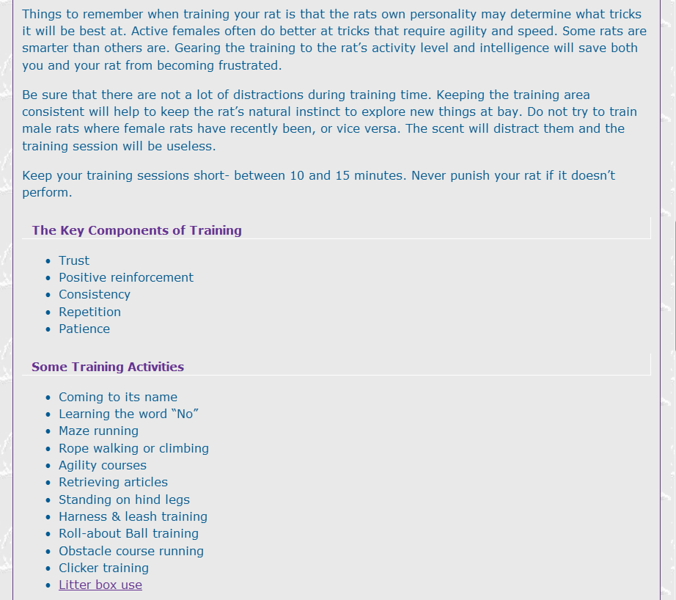 Permission to host the Rat Guide page on "Training and Playtime", the URL of which is http://ratguide.com/care/behavior/training_playtime.php, is granted solely and singly to JoinRats, by Ratguide.com. 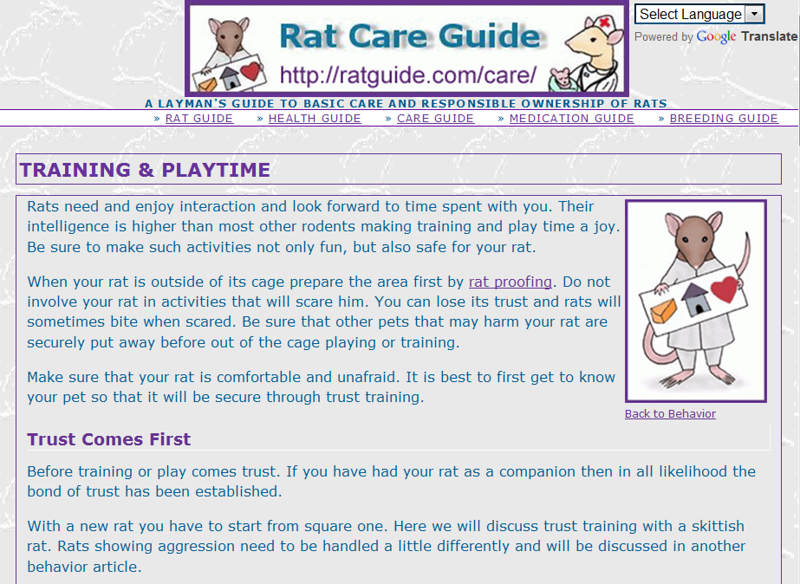 All rights reserved to Rat Guide. If you're viewing this on the keywords page, click to go to the gallery with Must Reads from Ratguide.com. Go there now. Read it now. 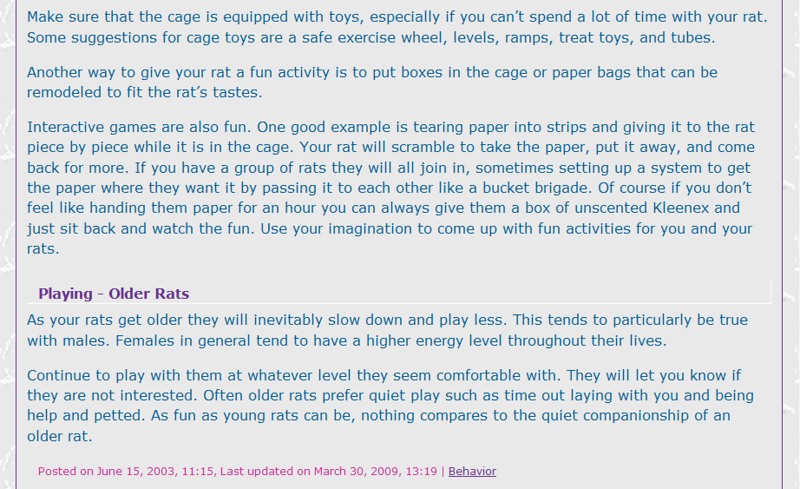 Your rats will love you.